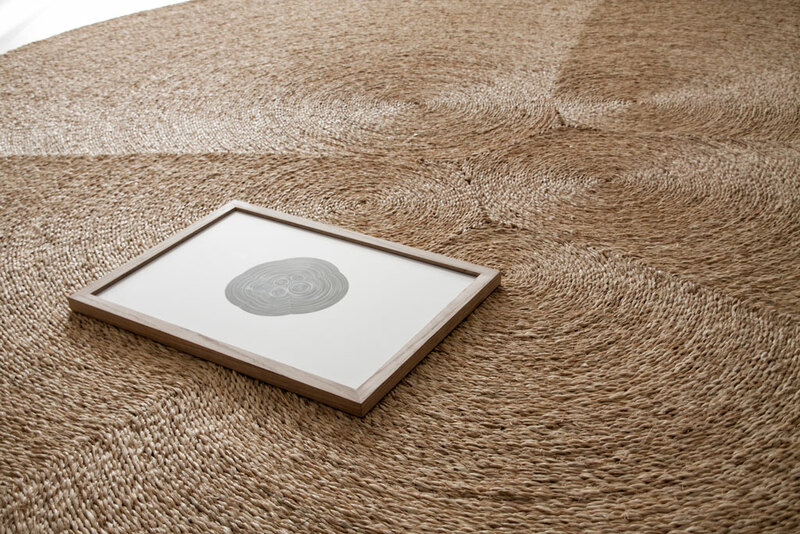 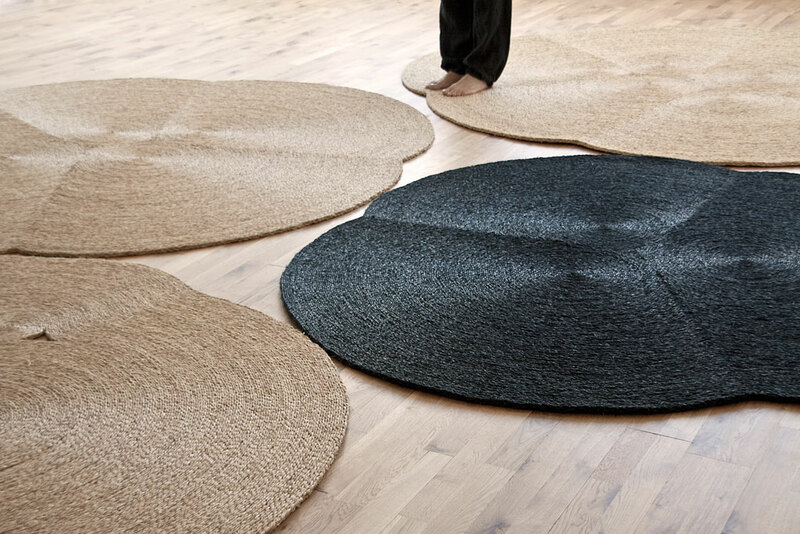 Esparto grass rugs are usually round or rectangular. 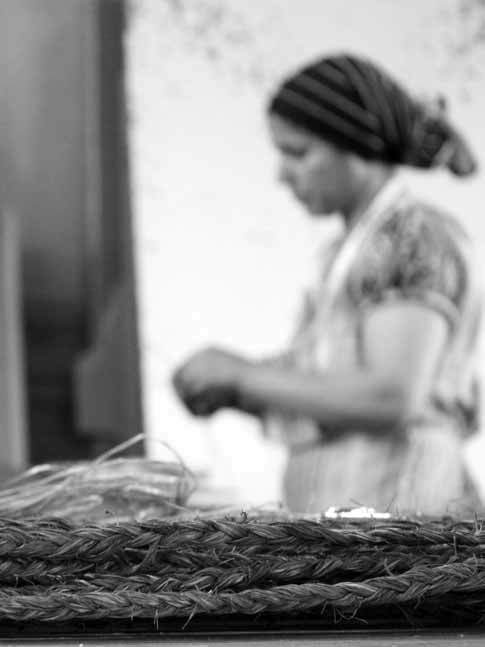 Women who make them start from the center and generate circles placing the esparto braid and sewing it. 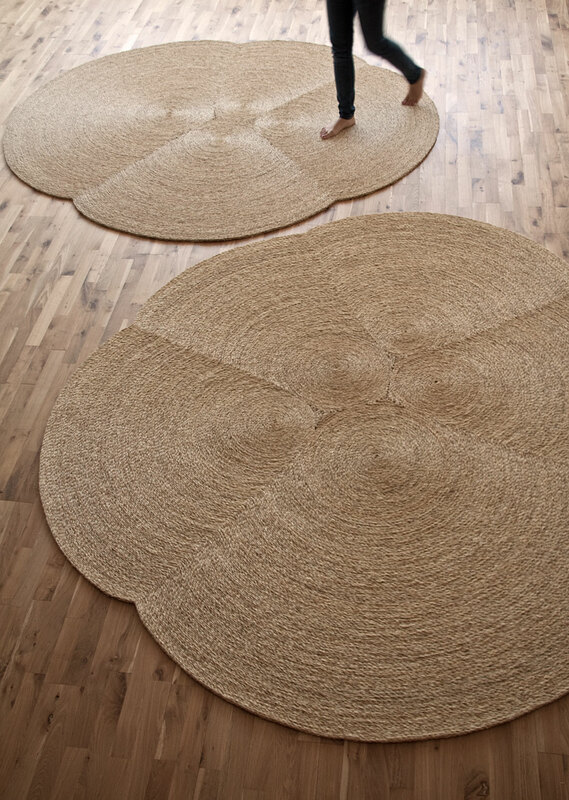 This is a rather repetitive activity usually done in teams of 2 or 3 women who talk and sing while they work; while their strong hands move with energy and precision. 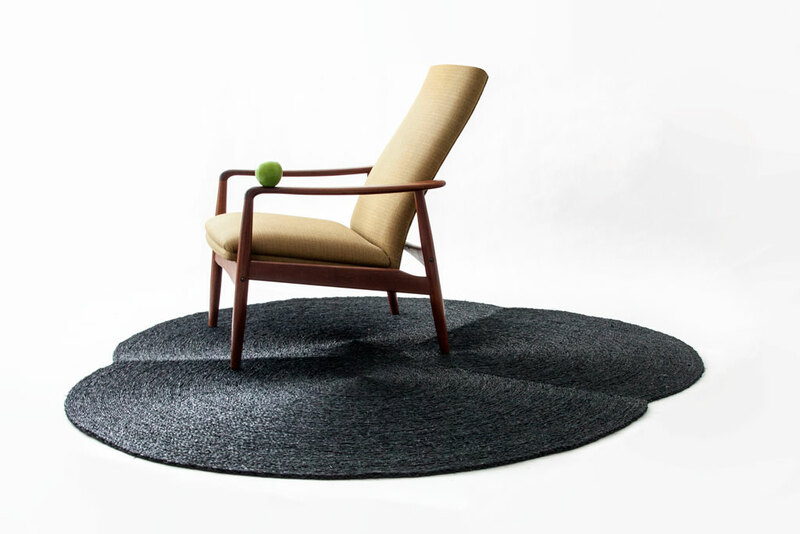 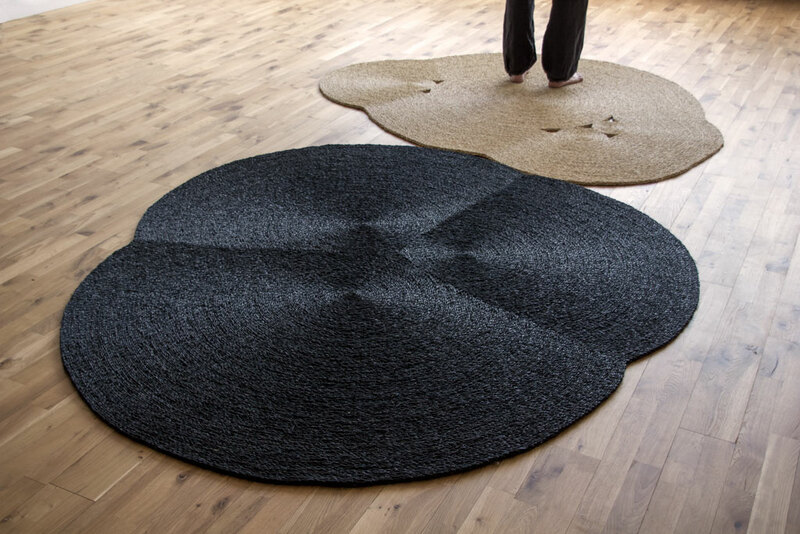 We have developed a series of rugs which, without breaking their way of working, create forms which are quite different from the traditional ones. 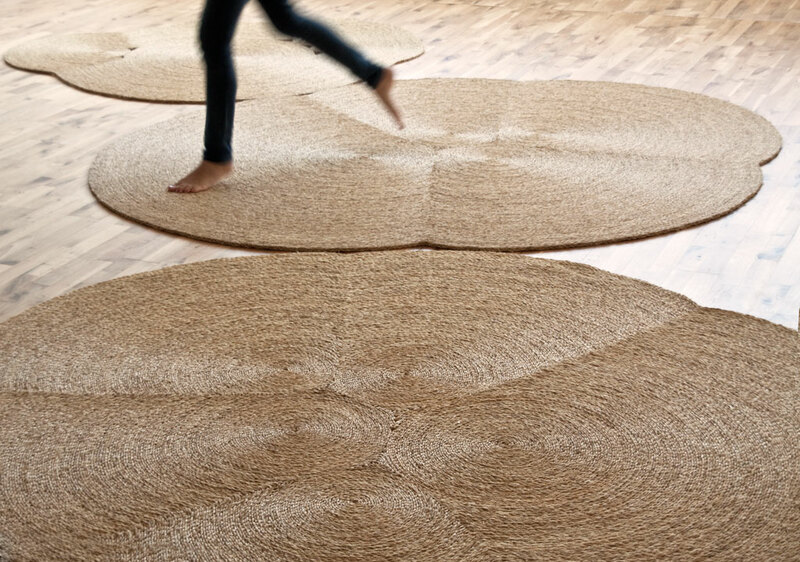 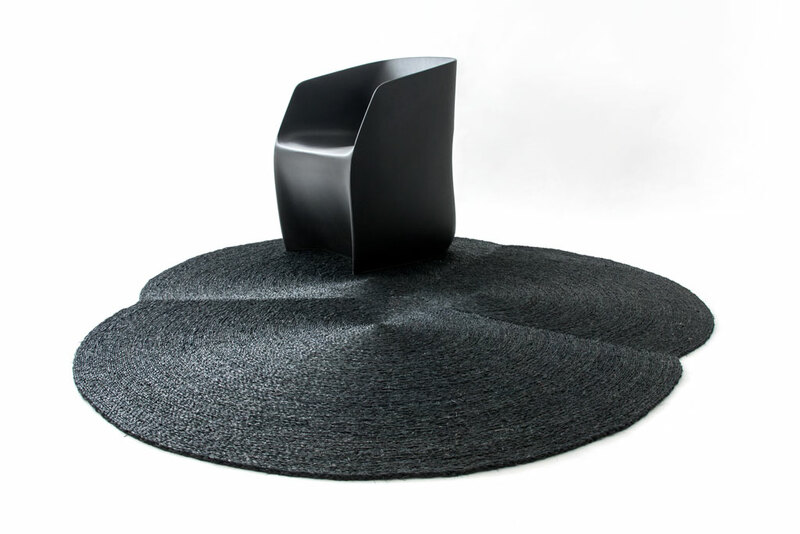 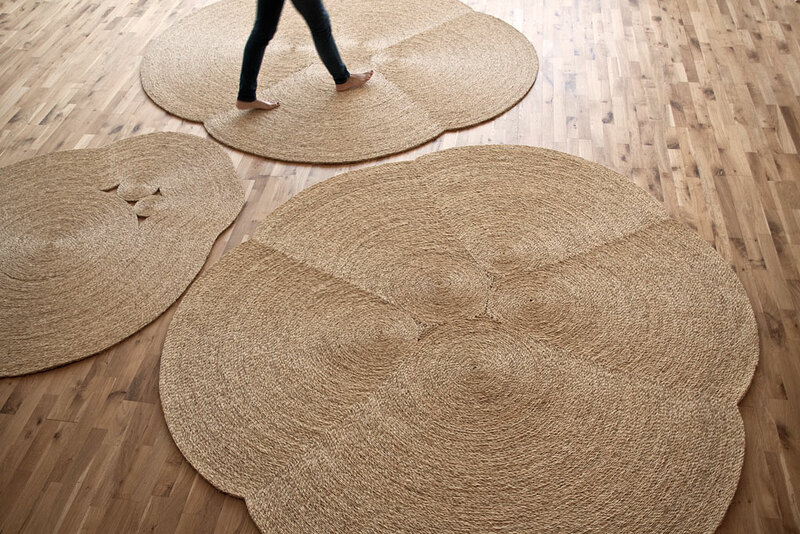 The rugs start from different centers which expand to finally generate an organic surface full of energy. 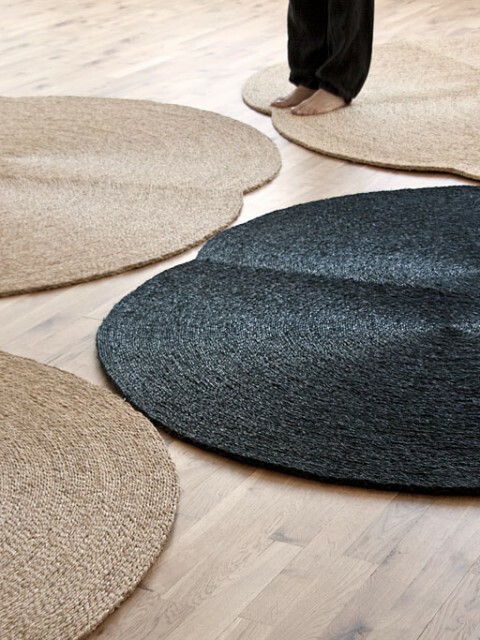 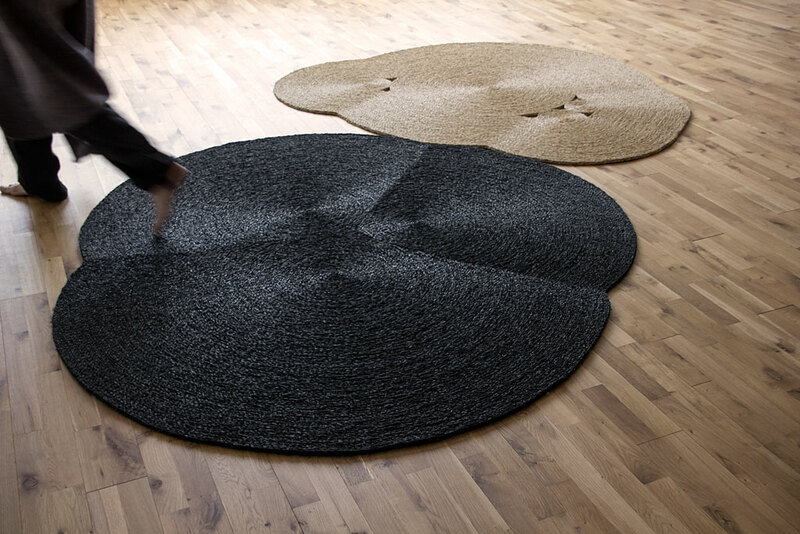 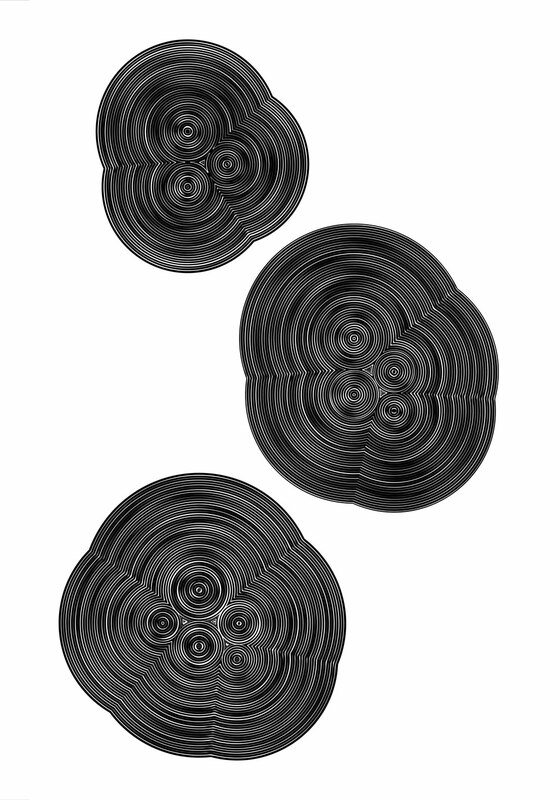 Rugs present 3, 4, or 5 central circles in different sizes. 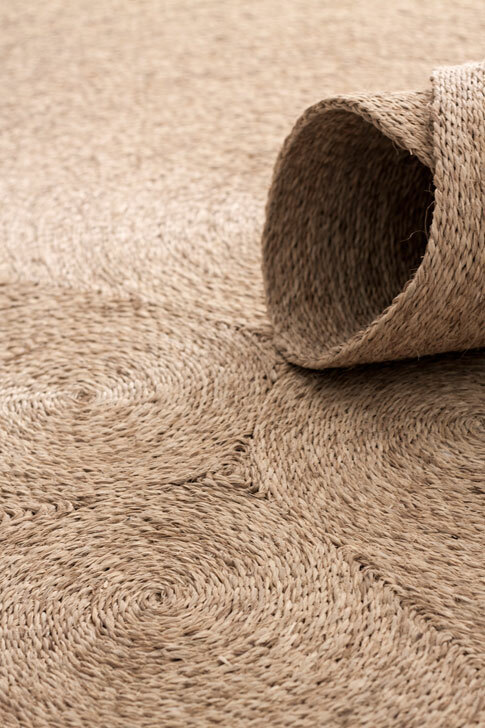 Esparto is a 100% natural material, with a very particular smell and touch; it can be cleaned with a vacuum cleaner, a broom or a brush. 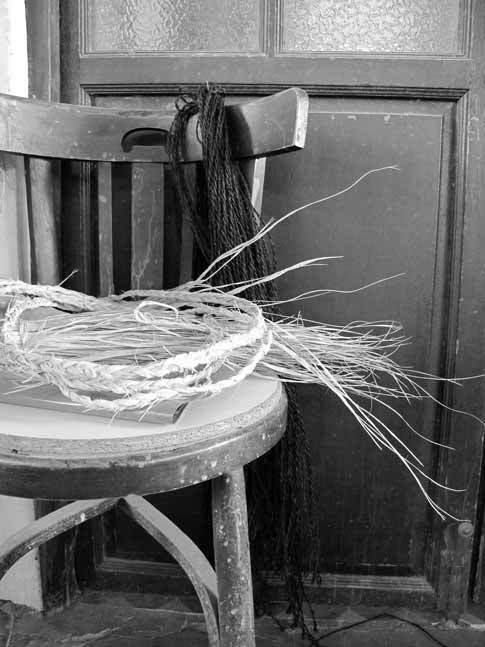 Reclaiming this type of craftsmanship for a contemporary product means an opportunity for the survival of a traditional profession, a local know-how. 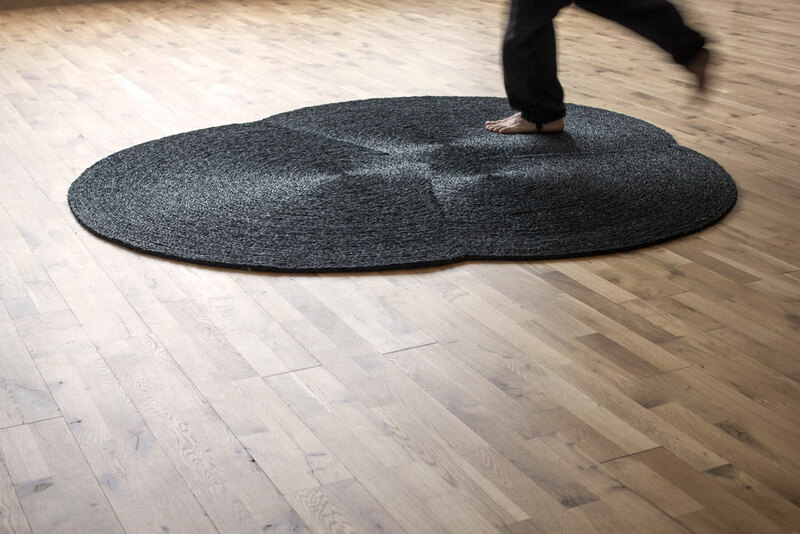 The rug is made by craftswomen from the region of Murcia. 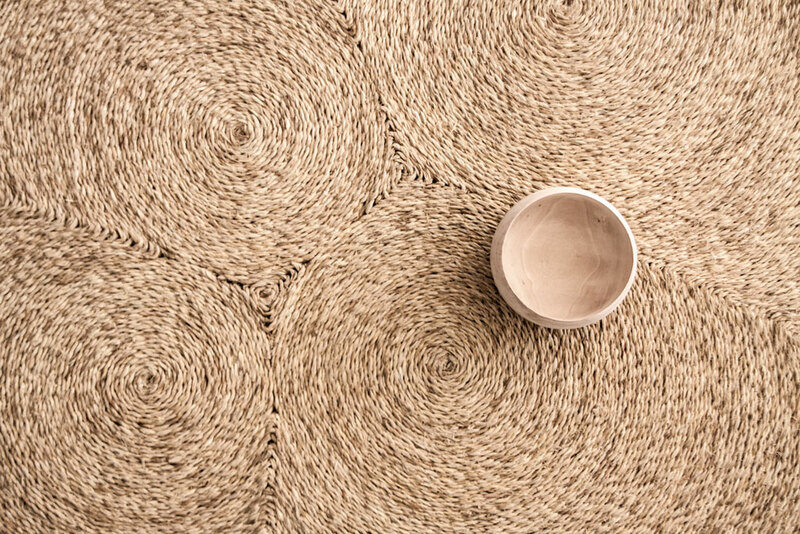 Esparto rug 100% natural and handmade.